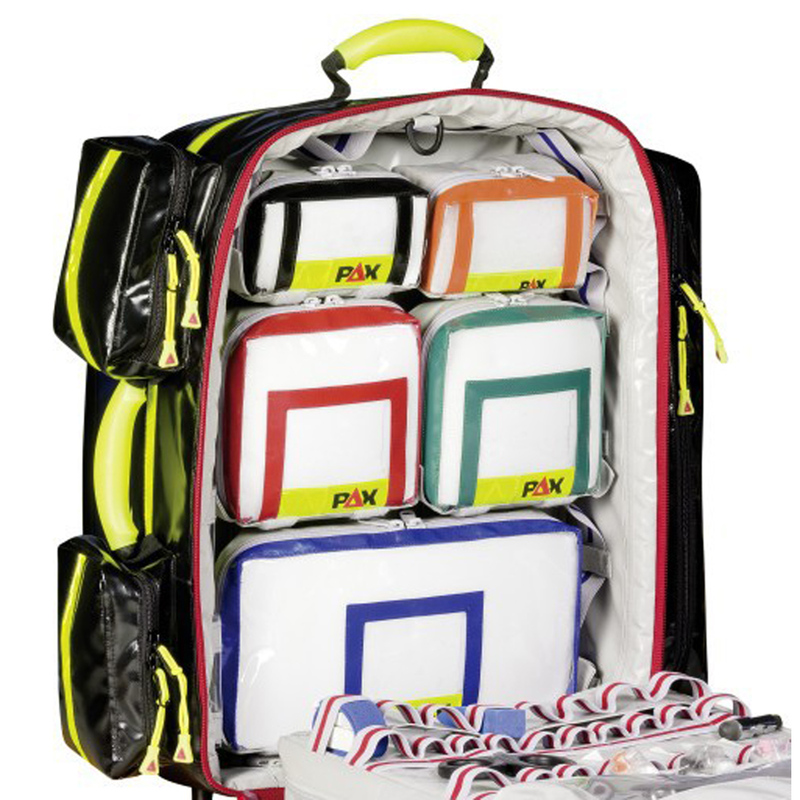 Two Large Front Pockets: The two large 14" x 10" x 4" PAX POS compatible front pockets can accommodate two of the FT Modules included with the bag or up to the optional XL size ampoule modules. 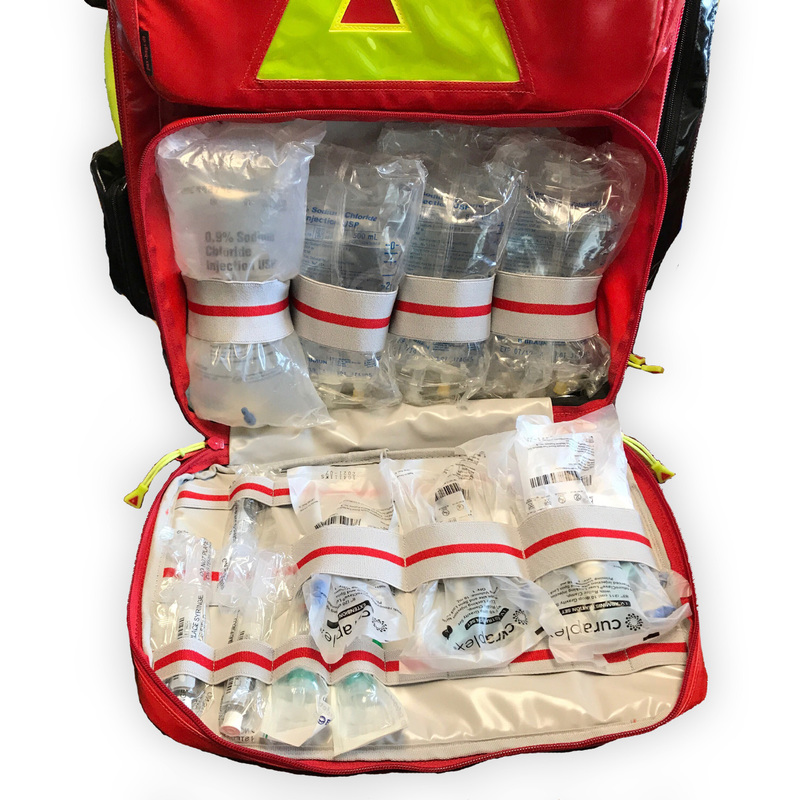 The lower front pocket is designed for fluid resuscitation holding up to four, 500ml bags of fluid, line sets, start kits, tubes or saline locks. 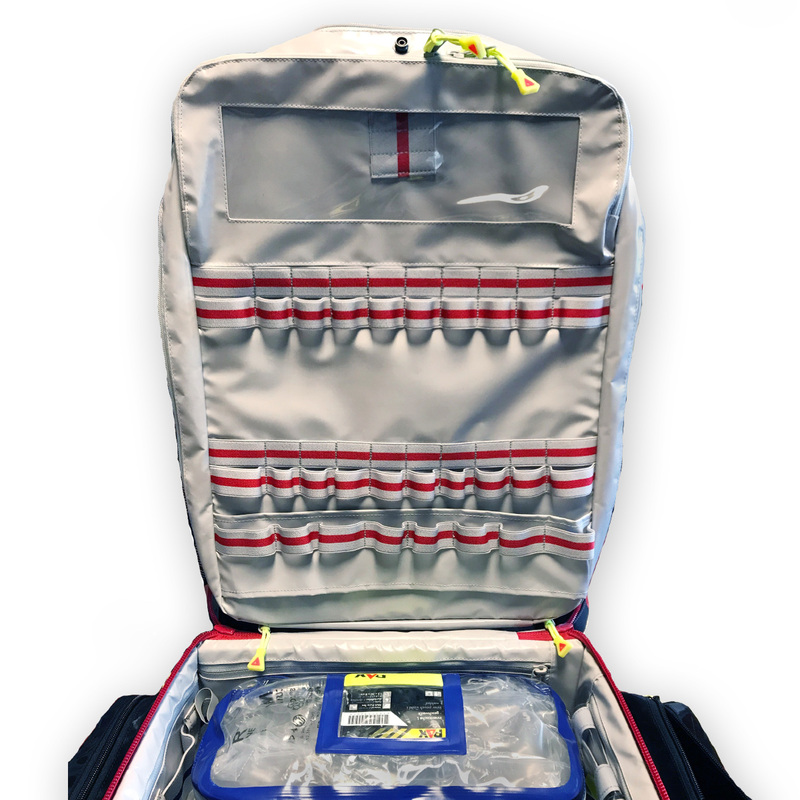 Like the upper pocket it can also be used to store two FT modules or the optional XL ampoule module if you choose to store IV materials elswhere. Three Side Pockets: Two small side pockets (7" x 4" x 3") on the left and one large, right side pocket with adjustable divider (17" x 5" x 3") can hold commonly used items needed for quick, repeated access without opening the pack. Documentation Pocket: A large flat pocket behind the two front pockets can hold C collars, clipboards, run sheets, splints or any other flat materials. 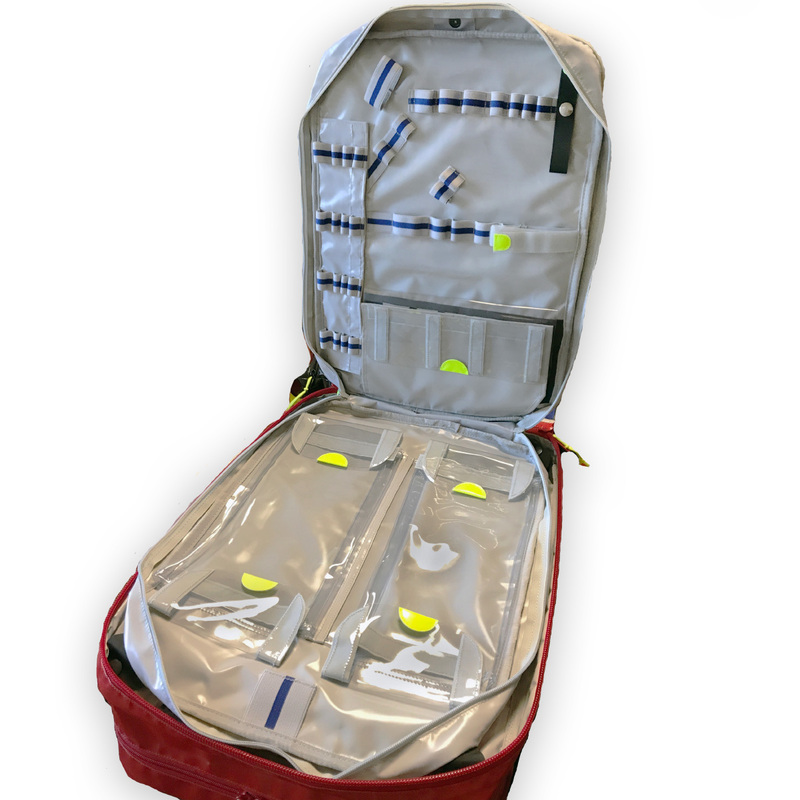 Internal Divider: The internal divider has numerous loops and storage pockets for securing medical components: An airway specific panel has two large see through pockets to hold a selection of endotracheal tubes with securing loops for a variety of blades, light handles, Magill forceps, suction catheters, oro/naso pharyngeal airways, etc. The other sides of the divider can accommodate bleeding control and bandaging or fluid resuscitation. 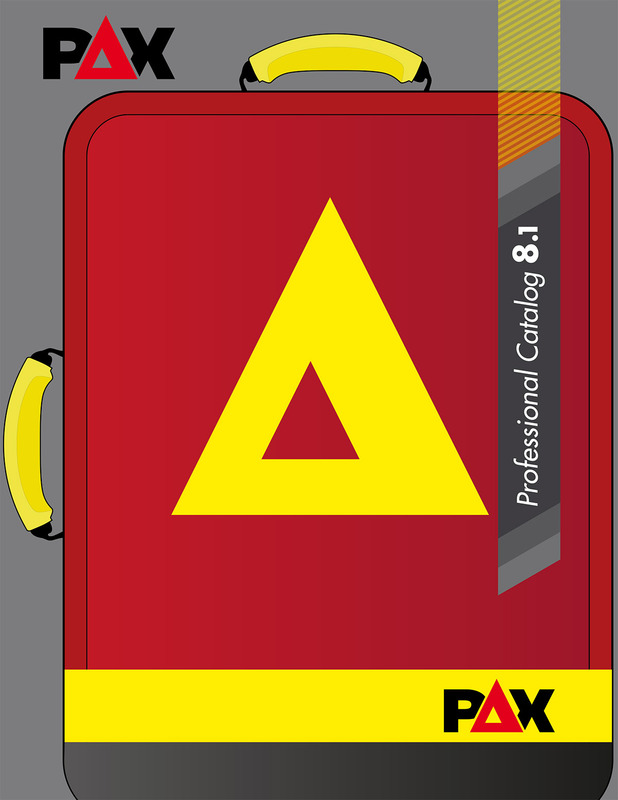 Internal Main Compartment: The large, internal main compartment includes eight see through removable module pouches allowing you to organize your gear for easy identification and access.The Pax Wasserkuppe ships with eight module pouches: 1x Large, 2x FT, 3x Medium and 2x Small. The small pouches will also fit into the side pockets. The Pax Plan material protects your medical gear from the elements and facilitates easy cleaning and disinfection of the bag. Sturdy, high visibility handles allow the bag to be hand carried or utilize the shoulder straps for backpack carry. O2 Cylinders up to D size can be carried in the main compartment utilizing the optional O2 Mount. 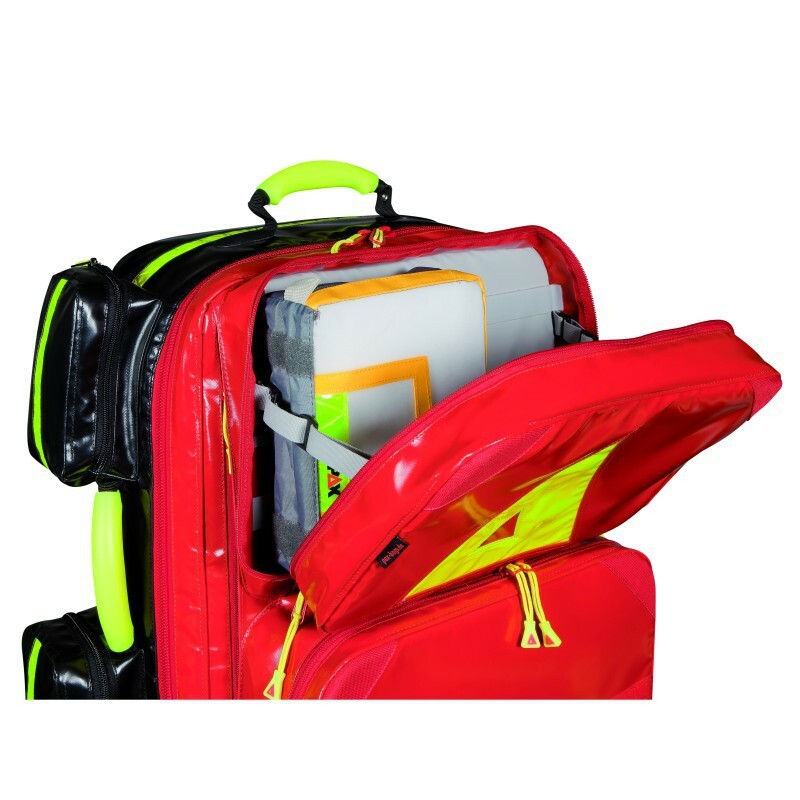 Outstanding build quality and a five year warranty back up this professional EMS medical bag designed for hard use in a variety of environments. For availability on additional PAX products please contact us at 1-866-711-4843.